Arymi is rolling out another new starter kit aimed at beginning vapers or those who are looking for something quick and easy as a back up device, the Argo Kit. They actually released the Argo back in August in time to beat the FDA deeming date. But that was, like with many products released in early August, a very limited release. So many of those devices, including the Argo have not been widely available yet. 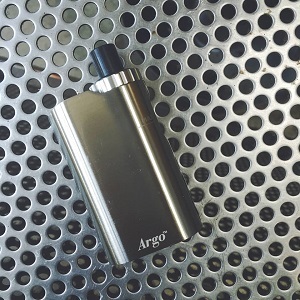 The Argo is an all-in-one device with an internal 1.9 ml tank and 1600 mAh internal battery. Arymi has designed the Argo to work with their CHC (clean hands coil) assembly that includes the drip tip, chimney and coil. They include a 1.0 ohm CHC with the kit along with the mod and a micro USB charging cable. There is a fire button located on the top of the Argo. To turn the device on or off press the fire button five times. The Argo also has a five light LED display that will illuminate when vaping. It will also flash for various warnings. When charging the Argo all five lights will be lit when the unit is fully charged. To fill the Argo unscrew the CHC assembly and drip ejuice directly into the tank, being careful not to exceed the “MAX” line next to the window on the Argo. If you’re using a new coil, prime it by placing a few drops of ejuice directly onto the cotton visible throw the ejuice flow ports. Reattach the CHC and allow the coil to soak in the ejuice for several minutes before vaping. And that’s all there is to it. Fill it up, put the coil assembly back on and hit the fire button to vape. No temperature or wattage adjustments, no airflow control to fiddle with. It couldn’t be much easier. I filled the Argo with French Vanilla ejuice from Vapes Gone Wild (my local vape shop), primed the coil and allowed it to saturate for a few minutes before vaping. The Argo provided an extremely quiet vape, due largely to its very tight draw. The vapor production was pretty decent, though at first the flavor production was quite mild. After vaping with it for a few minutes the flavor became a little more intense. I’ll be using the Argo Kit extensively over the next few weeks and then will publish a full, in-depth review. If you follow Seven Report on Twitter or Facebook you’ll find out that way when the review is live. Arymi offers the Argo Kit in white, silver, black and red. 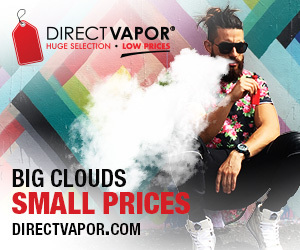 I’ve seen it listed for pre-order on a few websites, including the Kangertech website where it’s listed for $39.38. Thanks to our friends at Arymi for supplying the Argo Kit for a Seven Report review. You can pre-order it from Kangertech.